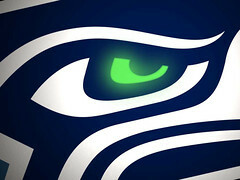 The Seattle Seahawks will welcome the New England Patriots to town for a Sunday afternoon affair. The Seahawks come into the game with a 3-2 record. Seattle is tied with St. Louis; both one game behind San Francisco and Arizona in the NFC West. The division is the only one in the NFL with all four teams sporting a winning record after week five. The Seahawks are coming off a road win at Carolina. For New England, they have won two straight following their 1-2 start. The Patriots scored 83 points in their last two games. The Patriots lead the Jets, Dolphins and Bills by a single game in the AFC East. Done reading? Have a winning pick? Bet now and build your NFL bankroll. Will Seattle’s crowd be able to make the difference over a veteran Patriots team? The crowd in Seattle has turned into one of the toughest in all of the National Football League. This season, the Seahawks have beaten both Dallas and Green Bay at Quest Field. The Seahawks picked up their first road win last week against Carolina. The Seahawks have had a major struggle passing the football. Russell Wilson in his first season in the league has thrown for just 815 yards in 5 games. The running game for Seattle is anchored by Marshawn Lynch. Seattle ranks 7th in the league with 140.2 yards per game. The Seahawks defense is in the Top 5 in both passing defense and rushing defense. In all, Seattle is allowing 258 yards per game. Can the Patriots score a load of points out West? The New England Patriots are known for their high powered offense. In the loss to Arizona, they just managed 18 points. Since that loss, the Patriots have scored 30 or more in their last three games. New England ranks 9th in passing with 274 passing yards per game, while the run game has been great – with 165.4 yards per game. 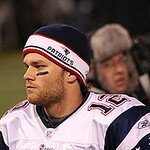 The Patriots top offensive threat outside of quarterback Tom Brady has been Stevan Ridley, with four rushing touchdowns. The Patriots passing defense has once again struggled. Last season, New England was among the worst pass defenses in the NFL; this season they rank 30th. Made up your mind on a pick? This online sportsbook is where we recommend betting. The Seattle Seahawks are a much tougher team on the road than they are at home. Seattle is coming off a home win, which may prove to be huge at the end of the season. The league is starting to figure the Seahawks quarterback situation out, and it’s not exceptional, as Russell Wilson has struggled a bit. Seattle’s defense is tough, especially at home. The Patriots have the high powered offense, but it has moved more towards the run game as of late. In the end, the Patriots are too good to keep down for too long. We are betting the Patriots 31-14 over the Seahawks, betting the over 44 and New England -3.5.